ComputerXplorers' micro:bit classes are hands on "build it and create it" sessions using the micro:bit, pocket-sized computer. The micro:bit is simple to get started with, incredibly versatile and awesomely powerful - perfect for physical computing activities for young people from the age of 7 or 8 up. 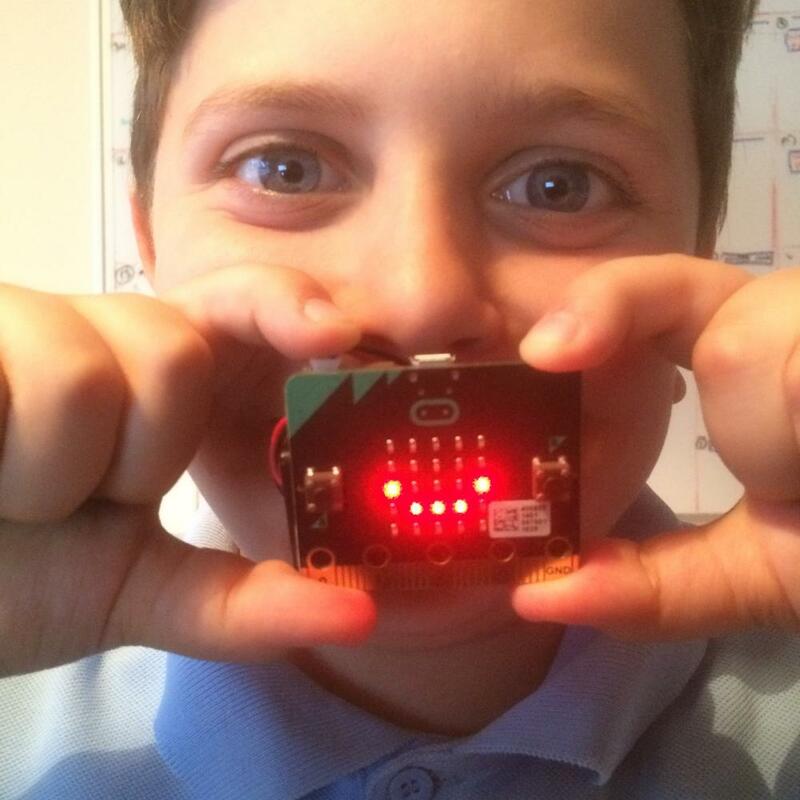 In our exciting and fun micro:bit classes students will combine their creative and technical skills as they create emoticon displays, expand their knowledge to make games, send coded messages, and communicate with light and music. Using a range of physical computing elements including different inputs, LED output, and an accelerometer so students can create wearable technology to create a game and a quiz, manipulate lights, send coded messages using radio packets and Morse Code. In our fun and educationally engaging classes students develop their creativity, engineering and computing skills using the micro:bit to become creators of technology. Become a STEM inventor in our micro:bit workshops - maker activities for all! Combining their new skills with digital creativity primary school children work with the micro:bit to invent solutions to real world problems. Collaboration, team-work and problem solving is brought to the fore to meet the fun invention challenges. With an animated pattern or fun scrolling message, it could be wearable technology one minute, or a data logging device for a field trip the next. Or a digital pet, you create yourself! It's time to become part of the maker movement! The micro:bit is fun to use both in and out of the classroom - designing code and building gadgets are great ways to build a better understanding of computing and electronics as well as giving computational thinking skills a boost. Using micro:bits in the classroom can touch on the following topics - and more! The micro:bit is a hand-held fully programmable computer that can be used for all sorts of cool creations, from robots to musical instruments – the possibilities are endless. This little device has an awful lot of features, like 25 red LED lights that can flash messages. There are two programmable buttons that can be used to control games or pause and skip songs on a playlist. 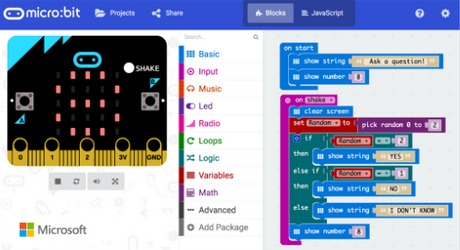 The BBC micro:bit can detect motion and tell you which direction you’re heading in, and it can use a low energy Bluetooth connection to interact with other devices and the Internet – clever! Find out more here on the micro:bit website.